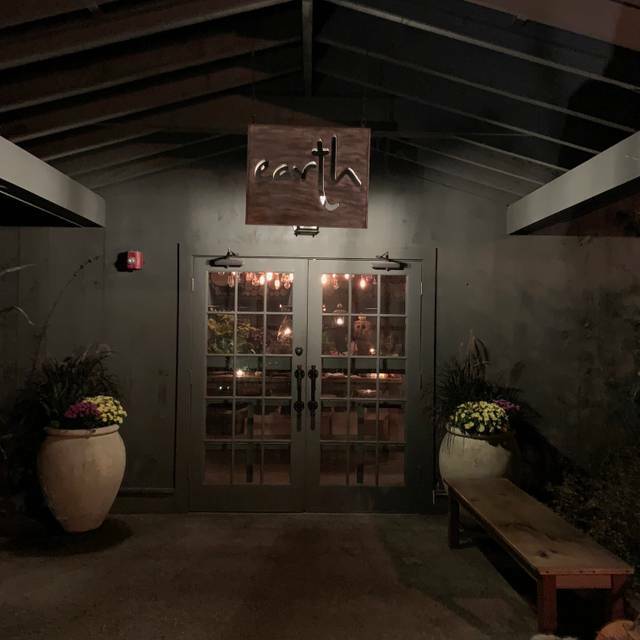 Earth promises an unforgettable dining experience that will leave you yearning for more. 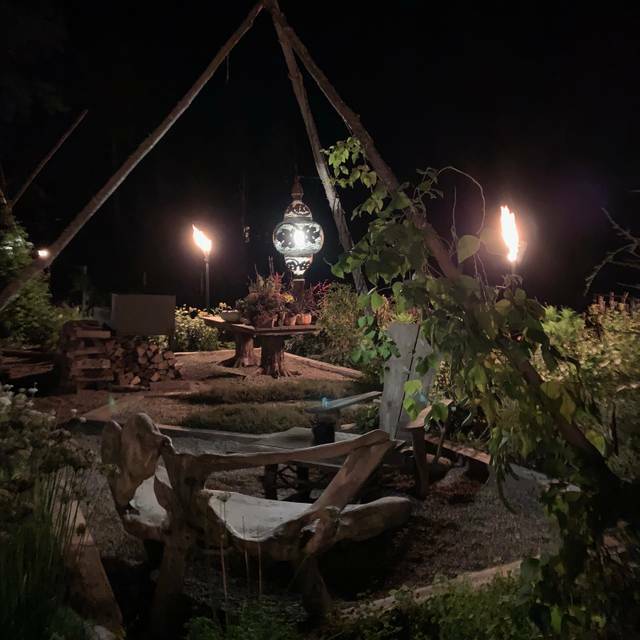 Nestled amongst balsam trees and birch forest, Earth is the result of a vision—one that embraces community and supports relationships between the world of outstanding cuisine and the farmers and foragers who provide the tools with which we compose incredible fare. 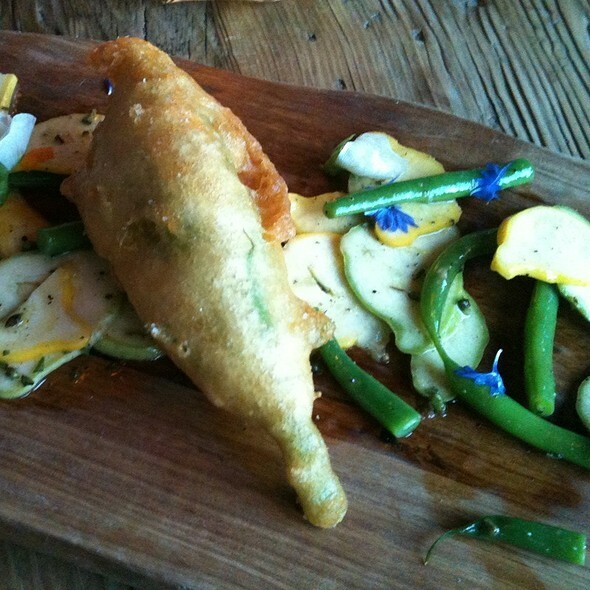 Simple yet innovative, Earth's menu focuses on "farm to fork" freshness. In addition to local meats and seafood, ingredients are used from one of two onsite organic gardens—picked daily and incorporated into each dish to enhance the many flavors and provide a taste that only fresh ingredients deliver. 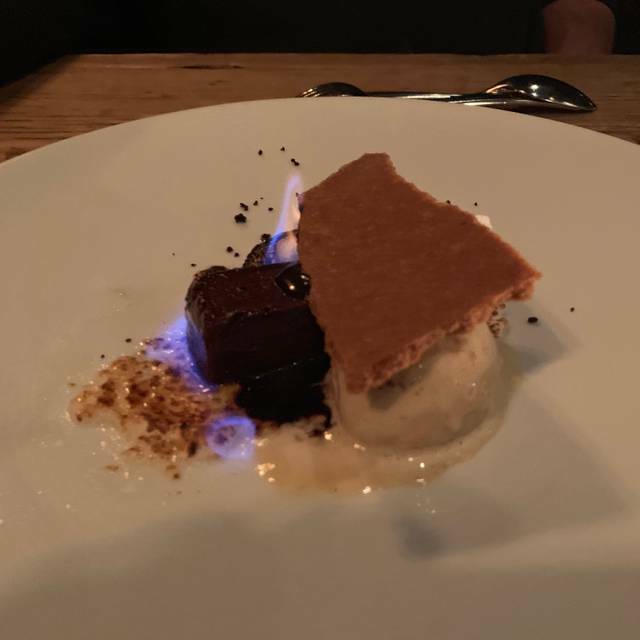 We have dined in on multiple occasions and continue to be blown away with the excellent meals, friendly staff and unique atmosphere. Never a diaaapointment and will continue to recommend over and over again. Can’t wait for next season. The food, service and ambience was spot on as usual! Thank you Earth for an incredible night! We were big fans of Earth under its previous management, but were hugely disappointed in this last visit. The dishes lacked the creativity we were previously accustomed to. My entree (the gnudi) was overly heavy and under sauced. My husband's (seafood on grits) was way too salty. I'm afraid the restaurant is being oversold and not measuring up to its previous quality. Also -- and this has been a problem all along-- it is drafty and cold in the restaurant. I saw many people still wearing coats to dine. The fireplace creates lovely ambience, but on this particular night, there seemed to be an excessive amount of down draft and my eyes were burning from the smoke. Earth is amazing and always creates a new experience when we go. This is an amazing place! Some of the best food in southern Maine! This restaurant is magical! Pictures could not capture the beauty of this place. The service was perfect and the food was really great. We loved the s’more dessert. Will definitely go back next time I visit Maine. Our experience started at the bar the bartender was friendly and attentive. The room is unique and romantic while being festive. We were going to eat at the bar but decided to enjoy a table. We were given water right away. Ordered our drinks and waited for some time to receive them. I watched as the server put away silverware. A seasoned server actually tended to us and got our drinks. We orderded our meal. The food was delicious. Strip steak and gnudi. The server was very pleasant but appeared overwhelmed. We noticed that the bartender began waiting tables. Clearly it was the end of the season. When i mentioned the service to the manager I was dismissed. Overall we enjoyed the restaurant and for the price the service should match. We will try again. 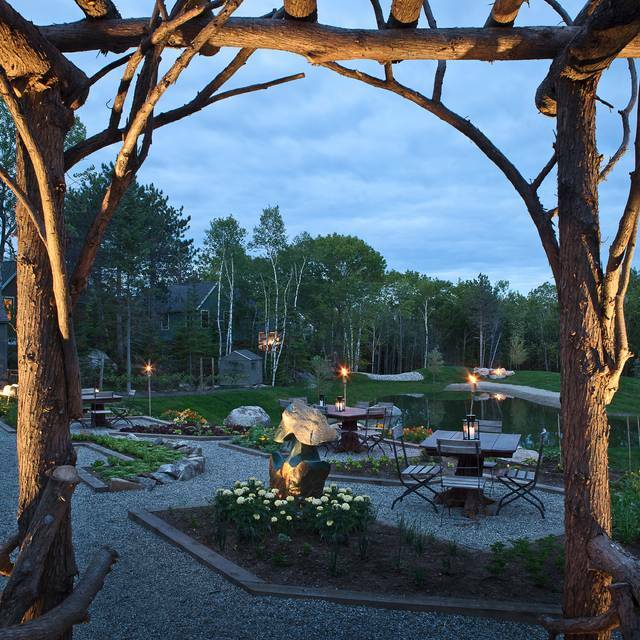 Beautiful farm to table restaurant in Kennebunkport. After hearing so much about this restaurant, we had to try it! The decor was absolutely beautiful. The service was great, and our food was exceptional. We had the brussel sprouts, rice noodles with chili lobster and steak. You have to get the donuts to finish! Everything we had was incredible. Our server even wrote us a list of Portland recommendations since we were heading there next. I definitely recommend this restaurant to anyone looking for a nice meal in Kennebunkport. Wonderful meal (still thinking about the food! ), and stellar service. Great experience — we’ll be back! We truly enjoyed our dining experience! Great service and tasty entrees. Very cool location and decor. We were greeted warmly by all. The main dining area was lit with candles, twinkly lights, and the wood burning fireplace. Great ambience. It was warm in the main area because of the fireplace, but drafty when doors to the outside were opened. The smell of the wood smoke was very strong in the main area. I am allergic, so it would have been a problem. But we were seated on the small side porch. It was cold and the wicker furniture was too big for the space, so it felt cramped. I did tell someone it was cold but they said the heat was on. The baseboard heat did kick on once, and got uncomfortably warm for a fee minutes but then it never kicked on again, so I wore my coat the whole meal. We did also overhear another party ask to be moved off the porch because it was too cold. I didn't have this option because of the wood smoke in the main dining area. We were served focaccia bread that was tasty and slightly crispy, accompanied with olive oil with mostly black pepper seasoning. I asked for help with the menu related to dietary restrictions. The waiter attempted to be helpful to some extent. I was told I was limited to a Moroccan carot appetizer with yogurt, raisins, and granola, which I asked to omit. There were 3 medium sized, long carrots that were caramelized but the dish had no flavor, except the raisins that tasted marinated, when I had said I needed to avoid acidic food. I had a monk fish main dish that was beautifully presented. The fish was tender and well seasoned. The smoked haddock in the dish was tough, and I didn't taste any smoke flavor. The new potatoes and leeks were OK but the only seasoning I could taste was salt. My husband's Shrimp and Scallops with cheesy grits and BBQ sauce was OK. My diet restrictions eliminated all of the vegetables to share, as is, but the chef wasn't consulted. 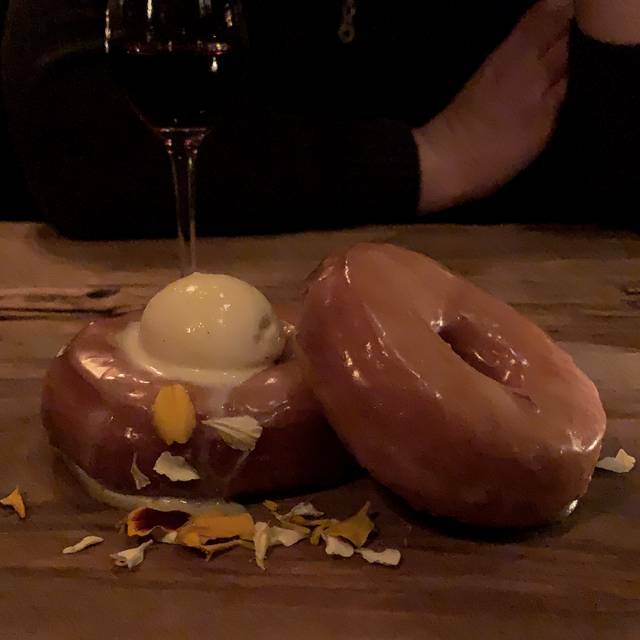 The brioche doughnuts were OK but I couldn't taste the sassafras and sasparilla flavor. Prices high for quality received. Earth was a great experience overall, but nothing made it feel "special." The restraunt was beautiful but service didn't live up to expectations - took 5 minutes for us to be offered water and another 5 minutes to be offered drinks. It was a Tuesday night and they weren't that busy. I enjoyed my partners dish - shrimp and scallops - more than my own - rice noodles; I wasn't expecting the dish to be overwhelming hot or the noodles to be so thick. It just seemed underwhelming for such a highly rated place. However, I'm definitely going to go back and try again. Would recommend going to anyone just to at least experience the atmosphere. One of the most special settings with amazing food and service! Must get the doughnuts for dessert! Parking is all VALET -- Did not know this until we pulled up! EARTH has been on my bucket list for years and did not disappoint. We went a little early to enjoy a cocktail while walking around the lovely grounds. For dinner, we enjoyed and shared a lovely mid-priced bottle of SHIRAZ, the moistest FOCACCIA ever, tender OCTOPUS in an unami hot & sour broth, and BRAISED SHORT RIBS for two that included simple yet perfectly cooked sides of potatoes, asparagus & mushrooms. For dessert, the heavenly MOCHA POT DE CREME was creamy topped with ice cream and not too sweet. Service was friendly and professional. A perfect "foodie" night! Wonderful experience. Unique setting. Great menu and exceptional service. We loved every minute while we were dining there! Don’t miss this hidden gem in the woods! The chef creates outstanding food dishes. We have been dining here the past 3 years while visiting Kennebunkport and it gets better each time. Absolutely outstanding, will definitely be back. The setting, the food, the service.... all absolutely outstanding. Incredible food and atmosphere. I had mentioned my gluten allergy and the chef personally came out to our table and explained how he was making my dish gluten free. Above and beyond service! Can’t wait to go back! Two of six meals were over salted, but overall nice experience. Delicious! Food is fantastic, such a beautiful atmosphere! Beautiful grounds and facility. Very good waitstaff and excellent menu. I can’t say we loved every dish but it was all very good and beautifully presented. Noisy group waiting when we arrived but restaurant quickly quieted down. Superb oysters and vegetable appetizer plate. Worth the trip alone. Swordfish over salted and undercooked for me. Teriyaki sauce a bit overpowering for salmon entree. This was our last dinner in Maine and a definitely a memorable one. Everything we ate looked and tasted great! Wonderful ambience and friendly staff too. This restaurant should be on everyone’s list even those people just passing through like us. Exceptional ambiance, atmosphere, and food, however we were disappointed with the service which is why it isn't a 5 star. Our reservation was for 9:00pm yet we weren't seated until a bit after 9:30pm as the hostess said she didn't have an open table for us. Additionally, the servers themselves (we had more than one), weren't noticeably knowledgable of the history of the restaurant or area. Great food and ambiance, but no privacy at all. Some tables are extremely close one to another, you can almost touch your neighbor's elbows. You are unfortunately part of all conversations going on around your table. It makes it very hard to concentrate on your guest. I really wish the service had been better. This meal was the culmination of our honeymoon, and I had wanted to go to this restaurant for a long time. When we arrived, our table wasn’t ready. We were told to grab a drink at the bar and have a seat. 25 minutes later, many tables were empty, and we had yet to be seated. My husband approached the host and hostess, and it was clear that we had been lost in the shuffle. Understandable; no worries. We were seated immediately thereafter. Our server didn’t check in with us at all between the clearing of our appetizers and the delivery of the dessert menu— even though he walked by us several times as we ate our main courses (which someone else had delivered). After we had finished eating, we sat for several minutes with our empty plates in front of us. In the meantime, our server checked in with the tables immediately adjacent to us multiple times. We were left waiting for anyone to stop by. I have no idea why; neither my husband or I had been anything but polite and friendly with our server, the hosts, etc. Perhaps we were a lower priority for our server because we weren’t ordering an expensive bottle of wine? Who knows. The person who finally cleared our plates was the manager, and, by the time our server reappeared with dessert menus, I was just eager to leave. What a disappointment. The food is just great. The restaurant is beautiful. But I left the whole experience feeling irritated— especially since I made the reservation months ago. To be fair, anyone and any place can have an off night; perhaps we just hit everyone here on theirs. I would go here again in the hope that this experience was not representative of what is typical at Earth. 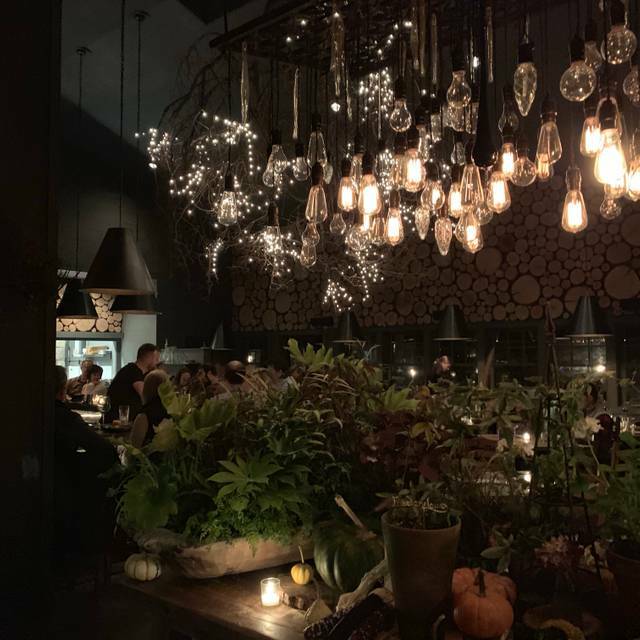 Attentive service, interesting, natural decor and many wonderful dishes and drinks to choose from. I had the tequila and watermelon cocktail, squash blossom, and half lobster with the lobster mac and cheese. Very filling and satisfying meal. Look forward to going back. Our first visit, and sure to be back soon. The atmosphere was welcoming, a casual elegance. Decor and ambiance were just what we had hoped for. Tables were close together, and although we requested porch seating in advance.. we were sat in the middle of the dining room. Service was friendly, not overly informative or suggestive by our server.. but the male who delivered our plates was very well versed and described our plates well. Relaxing by the fire pit afterward was a great way to linger and enjoy the grounds and night. Will be back. Friends recommended the restaurant as "the top one in the area that we had to try". Earth did not disappoint not only was our dinner which included appetizers, salad, main entrees and desserts absolutely delicious but the service was impeccable and staff extremely accomodating, knowledgeable and welcoming. We will definitely be returning. Amazing service by the young lady going back to dental school. 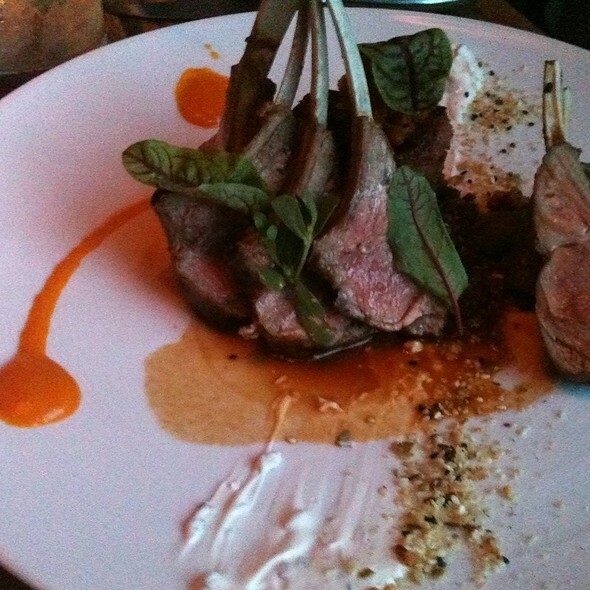 Great wine suggestions to pair with new dishes we tried after our third visit in 2 weeks. Fabulous food and venue. Can’t wait to be back ! A beautiful venue in the woods. 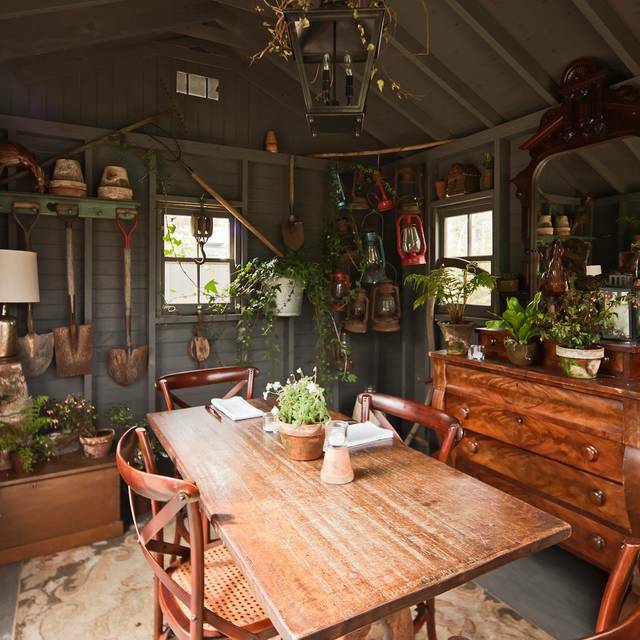 The dining room is gorgeous, and before or after you can sit at a firepit with your drink. Food was interesting and delicious. Only sour note was somewhat spotty service from our waitress (I witnessed others that seemed much better). Overall, well worth the evening! I had an incredible experience here. You can literally try anything on the menu and it will be fantastic. This place can do no wrong. I highly recommend the Octopus starter. Food quality and atmosphere were outstanding. Service was slow with lack of attention to customer. Wait staff served us wrong bottle of wine. I love this place!!! Earth is my favorite restaurant in the area. It’s both a special occasion spot and also a huge treat if just sitting at the bar. It’s unfortunate that other reviewers experienced slow service. This has the kind of ambience I want to savor so so haven’t had the same experience. Maybe it would help to know in advance ... or invite better company! While the food is outstanding- it’s onky part of the experience. Give yourself enough time to have a drink at the outside bar beforehand.